We have been successfully placing our client's websites on the top ranks on important search engines like Google, yahoo etc and that too enduring for long time. We do not use any of the black hat SEO tactics that can get your website penalized and/or banned. Instead we go for White hat SEO tactics, the best and most highly recommended means of attaining high rankings for long duration. Some of these tactics include internal linking, reciprocal linking, content creation, writing for others etc. We understand the aspects and ranking systems of top search engines and thus get your web-site top, where it should be in the search engine result pages. 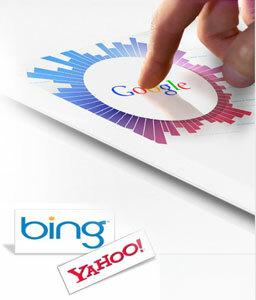 Contact our SEO EXPERTS TEAM now to discuss your requirements.